It’s hard to believe that we’re already nearing December’s Full Moon — it feels like the month just started! But on Dec. 22, the full moon will rise, signifying the end of a lunar cycle, and nearly the end of the year. A full moon always has spiritual significance — the moon in general symbolizes the mind and emotions, and is highly influential. 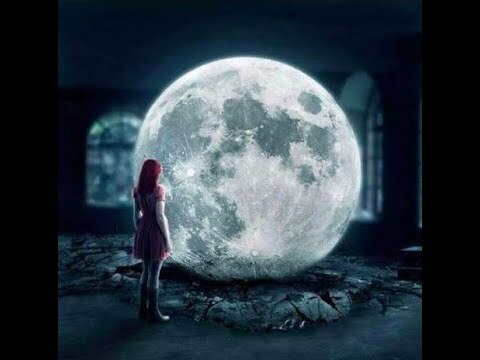 During a full moon, the energy is even more intense, and everything is magnified, the good and the bad. But each full moon gives off slightly different energy depending on when it’s happening and what sign it’s happening in, and this one is no different. There are many December 2018 Full Moon spiritual meanings that are definitely worth keeping in mind as we go through the end of the month. This latest full moon is also known as the Full Cold Moon, and is happening just one day after the winter solstice, meaning it’s basically signifying the beginning of the winter season. It’s also pretty rare for this to happen — according to Space.com, the last time a full moon coincided with the solstice was in 2010, and the next one won’t be until 2094. This full moon is also rising in Cancer. According to Astrology King, it’s going to be a good time: it’s all “about excitement, positive change, and pleasant surprises.” This full moon is going to bring about interesting encounters in your personal life, as well as fun and stimulating events. You’re going to feel more open to change and you may actively seek it out, which is the exact energy you want to have before getting into a new year. If you’ve been wanting to try something new, this is the time to do it. You’ll also find that your intuition is stronger, making it easier for you to make big decisions and make the most of any opportunity that comes your way. You’ll also find that your insight is on point, meaning you’ll be able to handle any problems that come up, as well as make new friends. Not only is this full moon full of positive change and energy, it’s also very powerful. Dark Star Astrology says, “The ambience at this full moon is gentile and compromising. Those touched by this full moon will want to treat their loved ones like royalty. It’s a great period to do things that pamper yourself or indulge in homemade treats.” These are the perfect vibes for the holiday season. Basically, the energy from this full moon is going to carry us through the new year in the best way possible. Enjoy the positive vibes!